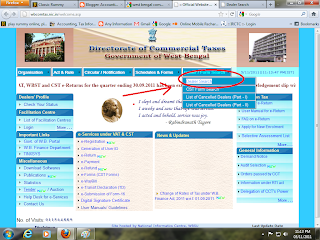 You can search you company details based on your TIN number TIN (VAT/CST R.C. No.) 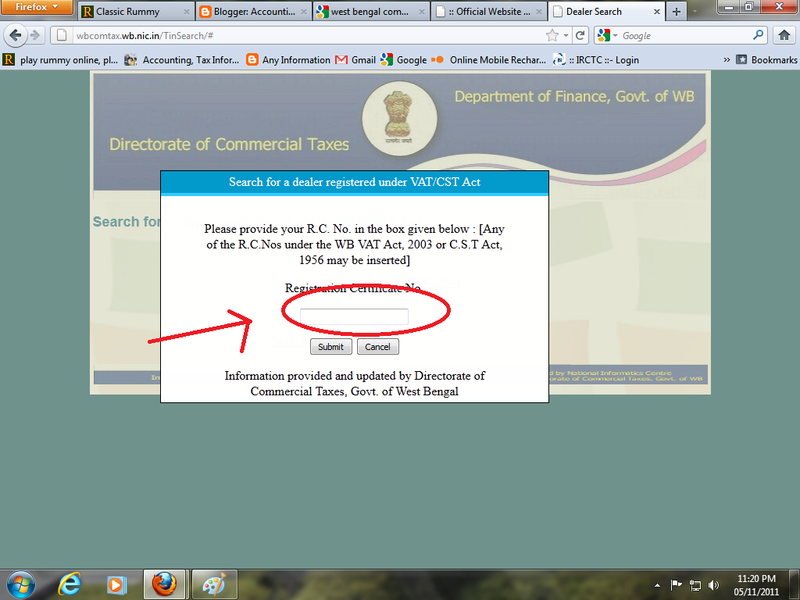 in west bengal commercial tax dept website. 1) When you prepare Invoice / D.C / any other documents, you may enter buyer (If only WB Buyer) TIN number, in this time you can Check buyer TIN number. 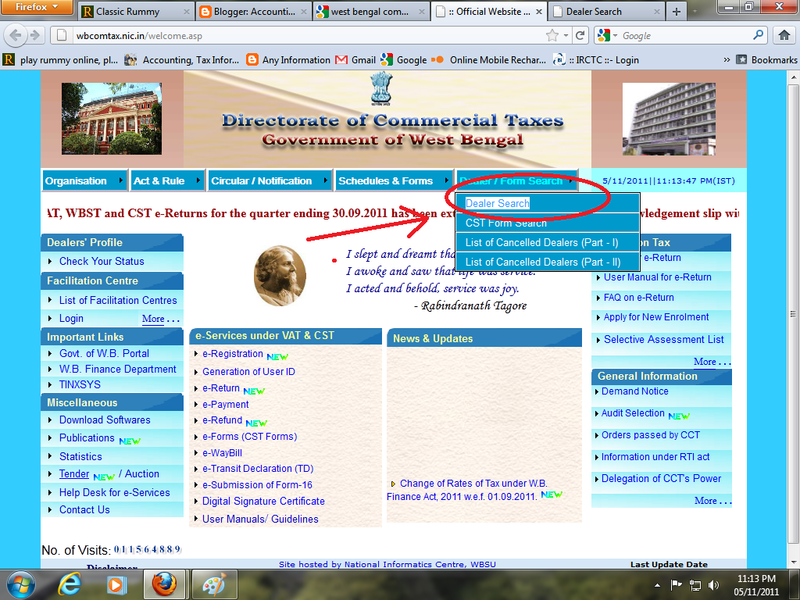 2) You can get full details for your company or any other company. 3) It is helpful when you apply or issue C- forms / H - Forms. 4) and also helpful when you upload waybill utilized statement. 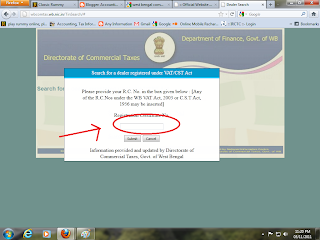 5) You can get details for particular TIN Number is working or not / Corrected or not. > Click on Search by TIN (VAT/CST R.C.No.) option. > Click on submit button. 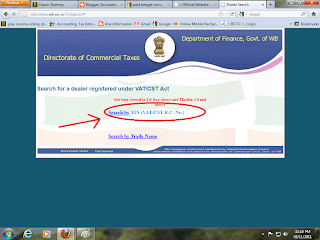 Now you can see full details of Dealer.